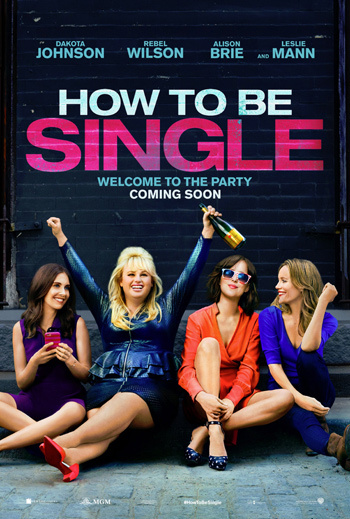 Dakota Johnson, Rebel Wilson and Leslie Mann star in the romantic comedy How To Be Single, based on the book by Liz Tucillo. After a break-up, Robin (Wilson) teaches Alice (Johnson) how to get back into the dating scene and navigate a world filled with ever-evolving definitions of love. MPAA Rating: R for sexual content and strong language throughout.